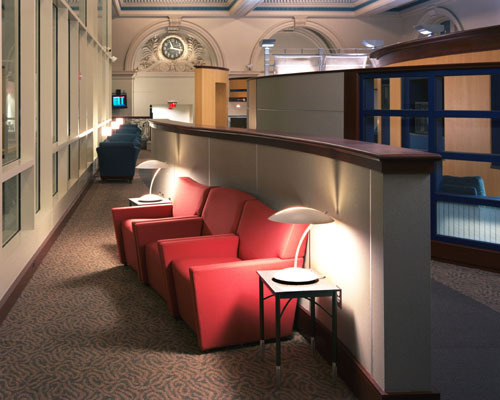 NCA designed the Club Acela as a prototype for station lounge renovation along the Northeast Corridor. The existing mezzanine space was subdivided into a lower lever and an upper lever four feet higher. 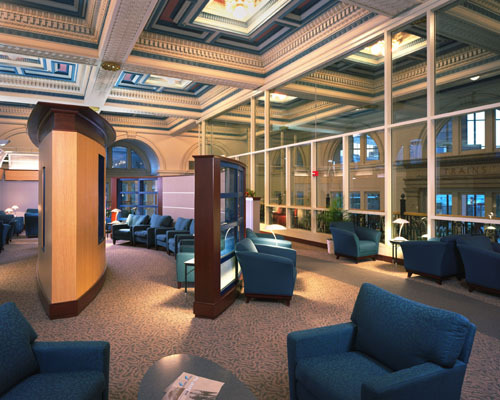 Major existing design elements for the commercial project included an historic ornate gold-leafed coffered ceiling eighteen feet above the floor and surrounding archways with plaster molding replicated in a 1980’s renovation.